Large commercial meat rabbit production facilities. These farms keep hundreds to thousands of breeding does, and sell the live fryers at around 8 weeks old. Rabbits are cared for scientifically, fed a commercial pelleted ration, and the bucks and does that sire and bare large litters that gain weight quickly are specifically selected as replacement stock. The main ‘product’ is rabbit meat. Medium-sized rabbit herds, from dozens to hundreds of breeding does. The main ‘product’ is usually rabbit meat, but can also be rabbit fur. In a fur herd, the meat is not wasted - it becomes a secondary product, selling as stew meat or as pet food. (Nothing wrong with the meat, it’s just tougher and must be crock-potted. The farmer takes a 90% hit in income fryer vs. broiler.) A medium-large rabbit herd (several hundred breeding does) becomes a full-time job for one rabbit farmer. Comfortably sized backyard rabbitries, meaning, a small or tiny rabbit herd containing a number of rabbits that fits your comfort level or needs. Thousands upon thousands of families and individuals in the United States and around the world keep a single breeding doe up to a few dozen (or more) in order to supply their family and pets with a ready supply of healthful animal protein. These backyard rabbits may be considered livestock rabbits rather than pets, although I’ll bet some of the older animals are sweet enough to warm the hearts of their keepers every day. If you are lucky enough to live close to a rabbit processor or his pick-up routes as we once did, a breeder of even a few rabbits may be able to breed on a regular schedule and sell the unneeded fryers to the processor by the live pound. If you really enjoy raising rabbits, have you ever wondered about starting a commercial meat rabbit herd? Ardeng Rabbits is another commercial rabbit ranch. According to their website, their fryers are harvested before 8 weeks of age and are always tender. They are located in Fountain Inn, SC, and their contact info is on their website. Pel-freez is a huge outfit in Arkansas. They buy rabbits from smaller breeders, and maintain pick-up routes throughout the south and up into the Midwest USA. Learn more about being a grower for Pel-freez. Seely's Ark (Facebook page) is a livestock farm raising both rabbits and chickens, situated in Dunnellon, Florida. The farm has a 500-doe capacity, the largest rabbit farm in the state. Their many chickens are free-ranged. See also this interesting article about Seely's Ark. Barbi Brown's Bunnies - Located 70 miles east of San Francisco in California, Barbi Brown’s Bunnies raises both pet rabbits and breeding stock rabbits. They have several barns full of rabbits of rare, new, and favorite breeds: American, American Sable, Netherland Dwarf, Mini Rex, Lilac, Holland Lop, Thrianta, French Lop, English Lop, Velveteen Lop, Palominos, Mini Satin, Beveren, and Dutch. Rabbits4U is a cooperative of individual smaller commercial rabbit enterprises which is headquartered in Missouri. As life gets tougher around the globe, the people who cut their reliance on large supermarkets and who get creative about producing their own food will be the folks who survive. Here are two examples of neighborhoods working together to produce their sustenance. In April 2010, www.heavytable.com published an excellent news article about the inhabitants in one urban Minneapolis neighborhood. 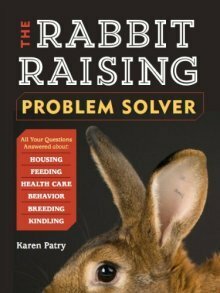 Entitled "Raising and Eating Rabbits in the Big City," the story featured three neighboring families who partnered together to take back control of their food sources. They created a joint vegetable garden, and are raising rabbits, chickens, ducks and geese on their city lots on Nicollet Island in Minneapolis. Yes, you CAN raise rabbit for meat in the middle of the city. Even better, work together with your neighbors to share responsibilities. The article acknowledged a rich history of people hunting or raising their own meat, often because the extra meat supplemented an otherwise dismal diet. These rabbit farming urbanites chose Champagne d’Argent and Crème d’Argent rabbits, both old breeds and one of them endangered, according to the American Livestock Breeds Conservancy. But there are many other excellent meat rabbit breeds to choose from, including New Zealand Whites, Silver Fox rabbits and Californians. Rabbits are very easy to keep. The article touched on how the neighbors managed their mini rabbit farm. A great article in www.OregonLive.com featured cooperation among urban neighbors in North Portland, Oregon. Click on the picture to read the article - it’s a short but good read. Rabbits, a large chicken run, extensive vegetable garden and fruit trees all fit on a double lot in the St. Johns neighborhood of Portland at the confluence of the Willamette and Columbia Rivers. Seven neighbors partner together to perform the daily chores. It is not clear from the article whether the properties of all the neighbors are being utilized to produce food for the partners. At least some of the children help with the chores, such as gathering eggs. There is absolutely nothing inhumane about raising rabbits for their fur. Cultures around the globe have relied on fur for survival for eons. In our opinion, domestic Rex and other breeds of rabbits provide the next best thing to wild-trapped furs, and in large quantities, if desired, without endangering either the herd, the species, or the environment. Fur garments are valuable, even essential in the colder climates of the extreme north, for example, Alaska, Finland, Russia, China, most of Canada, and more. One Utah rabbit farm maintains roughly 300 rex rabbit does. The market animals are butchered in the winter between the months of October and March when their coats are prime. The pelts are professionally tanned. During the warmer months, the finished pelts are fashioned into hats and garments for sale in Alaska and other frigid climates. The meat becomes a by-product, helping to defray some of the operating costs of the farm. This is a full-time job for this rancher. Interested in starting a hobby or commercial enterprise? See Rabbit Farming for our rabbit farm start-up tips.